9781578635528 | Red Wheel/Weiser, March 1, 2015, cover price $21.95 | About this edition: Bestselling author of several fantasy novels including Marion Zimmer Bradley's Ancestors of Avalon, Diana L.
9781939744005 | Gardners Books, June 28, 2013, cover price $26.90 | About this edition: It is the fifth century, and the Germanic tribes are pushing westward toward the world of Rome. 9780380765263 | Reprint edition (Avon Books, April 1, 1994), cover price $4.99 | About this edition: Born to rival kings in fifth-century Rhineland, Sigfrid and Brunahild each learn the ancient arts of their heritage, until their powers surpass those of their teachers, and they are united in perfect love and glory. 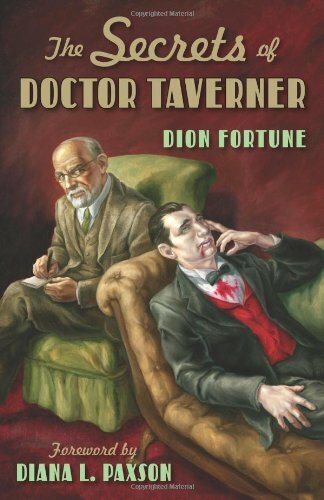 9781578633371 | Reprint edition (Red Wheel/Weiser, July 1, 2011), cover price $16.95 | About this edition: Death hounds, shape shifters, and vampires are among the patients treated by the Holmes-like Dr. 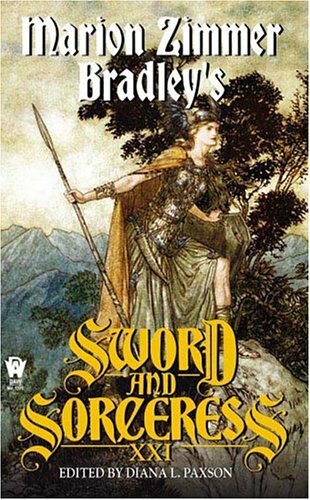 Product Description: Marion Zimmer Bradley's legendary saga of Avalon's extraordinary women continues with a tale of fiery visions, a lost king, and a forthcoming destiny. 9781400111879 | Unabridged edition (Tantor Media Inc, November 28, 2009), cover price $39.99 | About this edition: Marion Zimmer Bradley's legendary saga of Avalon's extraordinary women continues with a tale of fiery visions, a lost king, and a forthcoming destiny. 9781400161874 | Mp3 una edition (Tantor Media Inc, November 28, 2009), cover price $29.99 | About this edition: Epic in its sweep and peopled by the remarkable women who have always inhabited Avalon, Marion Zimmer Bradley's Sword of Avalon expands the legendary saga that has enchanted millions of readers over the years and is sure to please Bradley's loyal readership and anyone who loves wonderfully told stories of history, myth, and fantasy. 9781400141876 | Unabridged edition (Tantor Media Inc, December 28, 2009), cover price $79.99 | About this edition: Marion Zimmer Bradley's legendary saga of Avalon's extraordinary women continues with a tale of fiery visions, a lost king, and a forthcoming destiny. 9781578634057 | Red Wheel/Weiser, November 1, 2008, cover price $19.95 | About this edition: The ability to move from the ordinary into an altered state of consciousness is one of the most valuable skills in both magic and religion. 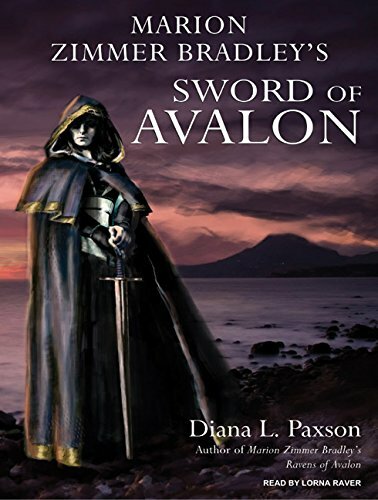 9780451462398 | Reprint edition (Roc, October 7, 2008), cover price $7.99 | About this edition: In the long-awaited return to Avalon by the beloved author of The Mists of Avalon and her collaborator, bestselling author Diana L.
9781435297012 | Reprint edition (Paw Prints, June 5, 2008), cover price $24.95 | About this edition: In the long-awaited return to Avalon by the beloved author of The Mists of Avalon and her collaborator, bestselling author Diana L.
Her responsibilities as a student of the College of the Wise preventing her from being more than a friend to the restless Prince Phoenix, Sombra finds herself the only person who can rescue him when he is abducted and sold to slavers. 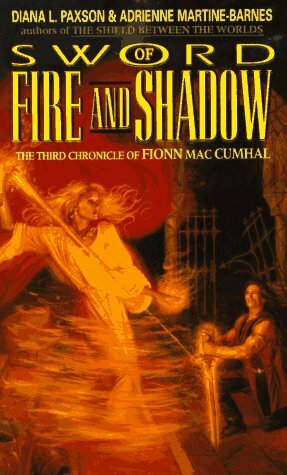 9780765308894 | St Martins Pr, February 7, 2006, cover price $24.95 | About this edition: Her responsibilities as a student of the College of the Wise preventing her from being more than a friend to the restless Prince Phoenix, Sombra finds herself the only person who can rescue him when he is abducted and sold to slavers. 9780765347848 | Reprint edition (Tor Fantasy, February 6, 2007), cover price $7.99 | About this edition: Her responsibilities as a student of the College of the Wise preventing her from being more than a friend to the restless Prince Phoenix, Sombra finds herself the only person who can rescue him when he is abducted and sold to slavers. 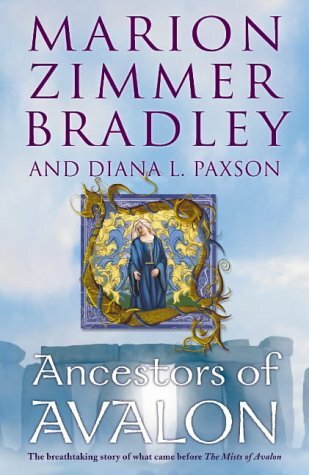 A story based on the saga by Marion Zimmer Bradley follows the Avalon characters' predecessors, the exiled high priestess Tiriki and royal acolyte Damisa, who escape from Atlantis to the mist-shrouded isle of Britain, where their duties conflict with their hearts. 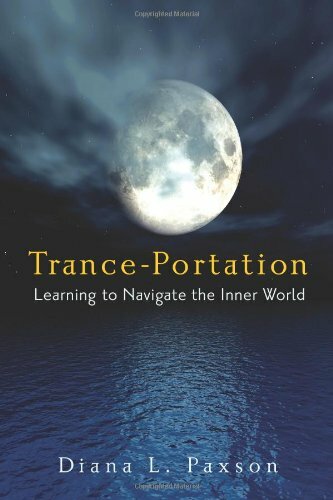 By the author of Priestess of Avalon. Reprint. 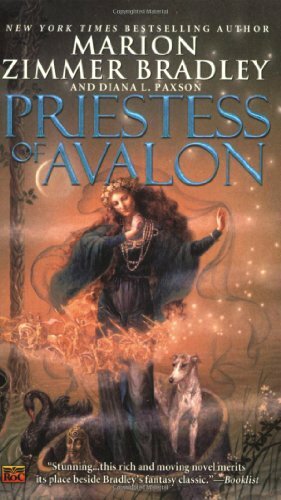 9780451460288 | Reprint edition (Roc, June 1, 2005), cover price $16.00 | About this edition: A story based on the saga by Marion Zimmer Bradley follows the Avalon characters' predecessors, the exiled high priestess Tiriki and royal acolyte Damisa, who escape from Atlantis to the mist-shrouded isle of Britain, where their duties conflict with their hearts. 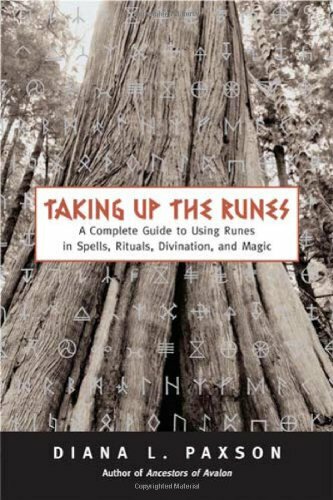 9781578633258 | Red Wheel/Weiser, April 20, 2005, cover price $27.50 | About this edition: Although many of us first encountered runes in J. 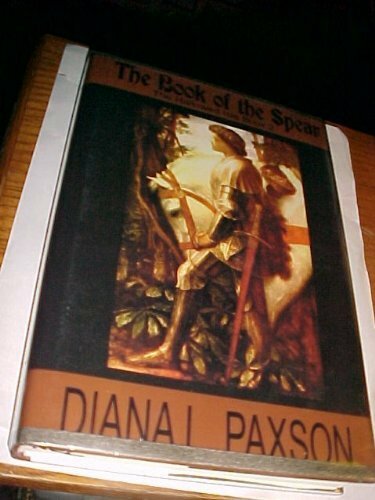 9780756401955 | Daw Books, October 31, 2004, cover price $6.99 | About this edition: Featuring contributions by Diana L.
The full sweep of the rich history of Avalon -- from the fall of Atlantis to the founding of a new temple on the mist-shrouded isle of Britain -- is revealed in this tale. 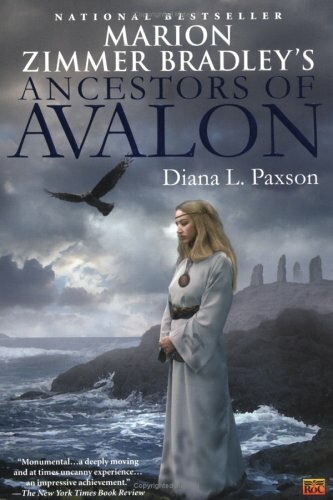 9780007138432, titled "The Ancestors of Avalon" | New edition (Harpercollins Pub Ltd, August 2, 2004), cover price $30.85 | About this edition: The full sweep of the rich history of Avalon -- from the fall of Atlantis to the founding of a new temple on the mist-shrouded isle of Britain -- is revealed in this tale. 9780670033140 | Viking Pr, June 1, 2004, cover price $25.95 | About this edition: A story based on the saga by Marion Zimmer Bradley follows the Avalon characters' predecessors, the exiled high priestess Tiriki and royal acolyte Damisa, who escape from Atlantis to the mist shrouded isle of Britain. 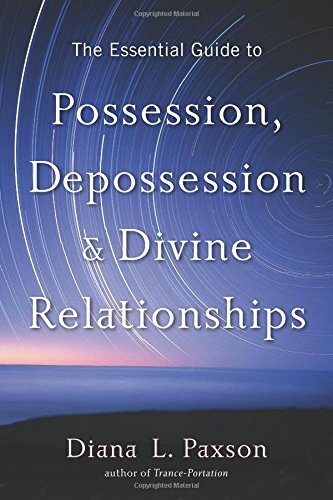 9781573248044 | Conari Pr, April 1, 2003, cover price $10.01 | About this edition: Drawing from their combined expertise in spirituality, psychology, astrology, history, and mythology, internationally acclaimed teacher and witch Z. 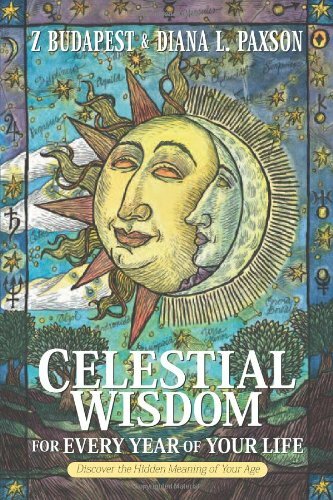 9781578632824 | Weiser, April 1, 2003, cover price $17.95 | About this edition: Drawing from their combined expertise in spirituality, psychology, astrology, history, and mythology, internationally acclaimed teacher and witch Z. 9780783895574 | Large print edition (G K Hall & Co, July 1, 2002), cover price $27.95 | About this edition: After years of conflict, Britannia finally knows peace and Artor reigns from his throne at Camalot. 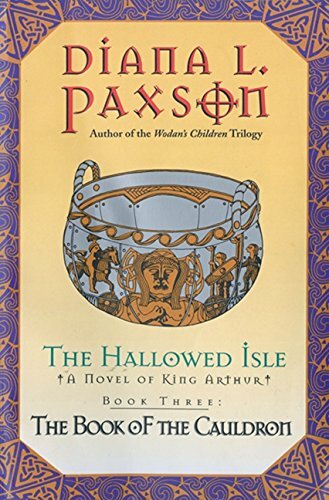 9780783895550, titled "The Hallowed Isle" | Large print edition (G K Hall & Co, April 1, 2002), cover price $27.95 | About this edition: The Romans came, conquered, and departed, leaving behind them a strange new religion called Christianity. 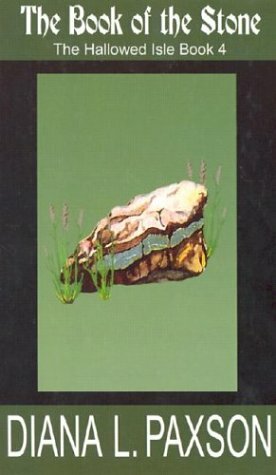 9780380813674 | Reprint edition (Avon Books, April 1, 2000), cover price $6.50 | also contains Education, Economy & Society | About this edition: In The Book of the Sword, Lady of the Lake Artoria Argant calls for a champion to unite the warring tribes of a defeated Britain. 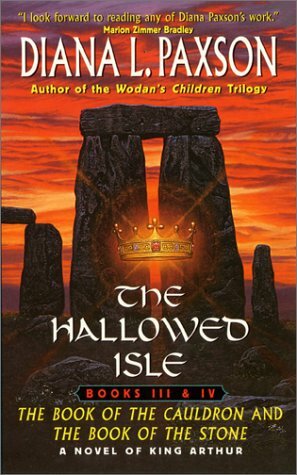 9780380788705, titled "The Hallowed Isle" | Eos, February 1, 1999, cover price $10.00 | About this edition: The first installment of a four-part series retelling the legend of King Arthur--from four different perspectives--finds a druid priestess, otherwise known as the Lady of the Lake, calling upon the Spirit of War and Justice for a champion to unite the broken land. 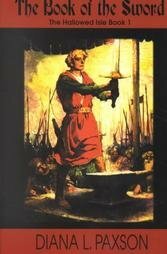 9780783895567 | Large print edition (G K Hall & Co, January 1, 2002), cover price $27.95 | About this edition: The SagaThe Arthurian saga is one of the most enduring legends of Western civilization--a stirring tale of destiny, duty, faith, and majesty that has been told and retold by some of the greatest storytellers of all time. 9780783895581 | Large print edition (G K Hall & Co, November 1, 2001), cover price $27.95 | About this edition: Mighty Rome subjugated the isle of Britain only to abandon it to a bloody patchwork of warring tribes. A new take on the Arthurian legend focuses on the tribal rivalries that shaped Britannia in the sixth century and the King, Artor, who would use magic to heal his war-torn kingdom in The Book of the Cauldron, while Guendivar reigns in her beloved husband's absence but with the threat of a revolt at home, she is forced to choose a new ruler, in The Book of the Stone. Reprint. 9780380817597 | Eos, February 1, 2001, cover price $6.50 | About this edition: Focuses on King Artor, who would use his magic to heal his war-torn kingdom, while Guendivar reigns in her beloved husband's absence but with the threat of a revolt at home is forced to choose a new ruler. Gundrun, the grieving widow of the legendary warrior Sigfrid, agrees to wed Attila the Hun in order to save her people, but she secretly plots her revenge against the murderous treachery that stole her beloved Sigfrid from her. Reprint. PW. AB. 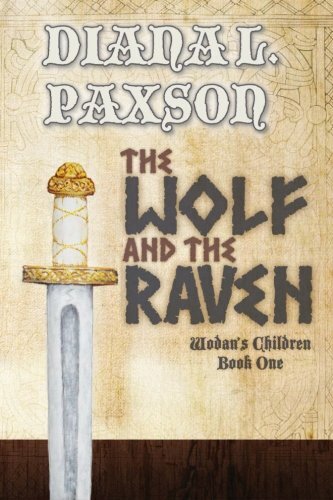 9780380765287 | Avon Books, January 1, 1997, cover price $5.99 | About this edition: Gundrun, the grieving widow of the legendary warrior Sigfrid, agrees to wed Attila the Hun in order to save her people, but she secretly plots her revenge against the murderous treachery that stole her beloved Sigfrid from her.